Rep. Senfronia Thompson confers with Rep. Shawn Tierry on the first day of the special session. Thierry sponsored one of four bills the House gave initial approval to Monday aimed at tackling the state's maternal mortality crisis. 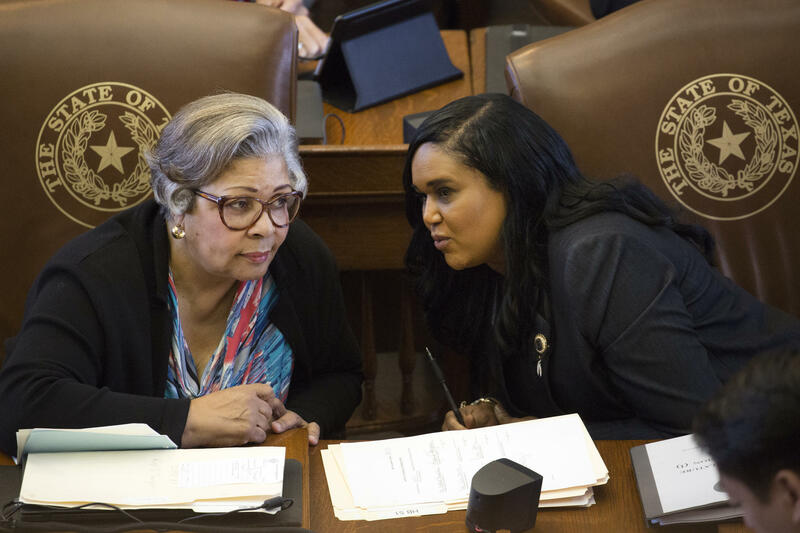 The Texas House has given initial approval to four bills aimed at tackling the state’s maternal mortality crisis. 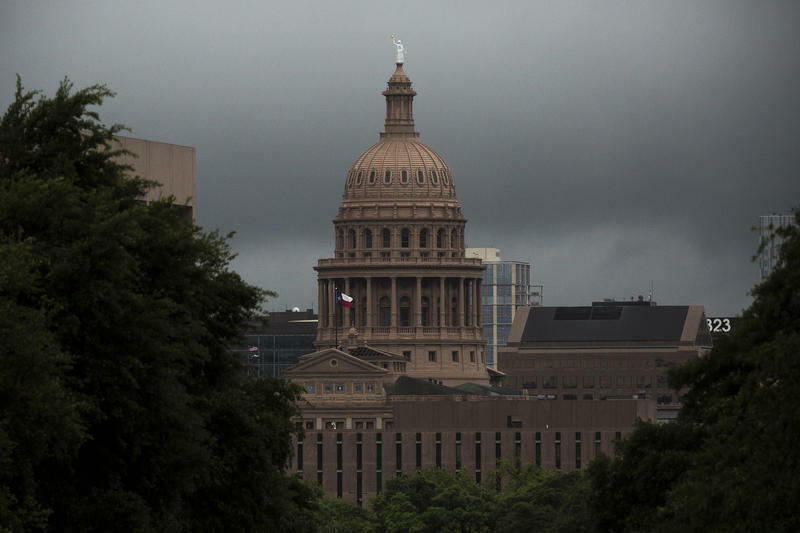 The bills, which are expected to pass the House on Tuesday, would extend the work of the Texas Maternal Mortality and Morbidity Task Force for another few years. 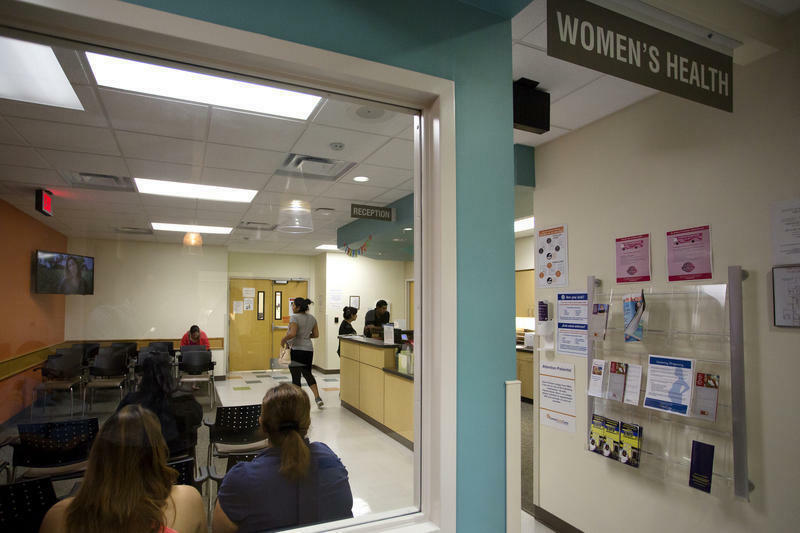 The legislation would also direct the task force to study why Texas has the highest rate of women who die while pregnant or shortly after giving birth. The issue is one of the few items on the special session call that has bipartisan support. Efforts to pass similar legislation during the regular session were scuttled by political infighting, but some lawmakers immediately pushed Gov. Greg Abbott to revive those efforts. Democratic Rep. Shawn Thierry, who sponsored one of the four bills, told House members the issue was personal. “I, too, almost lost my life when giving birth to my daughter in 2012,” she said. The experience was frightening, she said, but she was able to effectively advocate for herself. While Thierry and her daughter survived, a number of women – especially black women – do not have the same outcome. Thierry said she wants the task force to figure out why. Among other things, one of the House bills directs the task force to study the role of socioeconomic factors and mental health issues, and look at how other states are dealing with maternal mortality. Another bill would add a nurse specializing in labor and delivery to the task force. 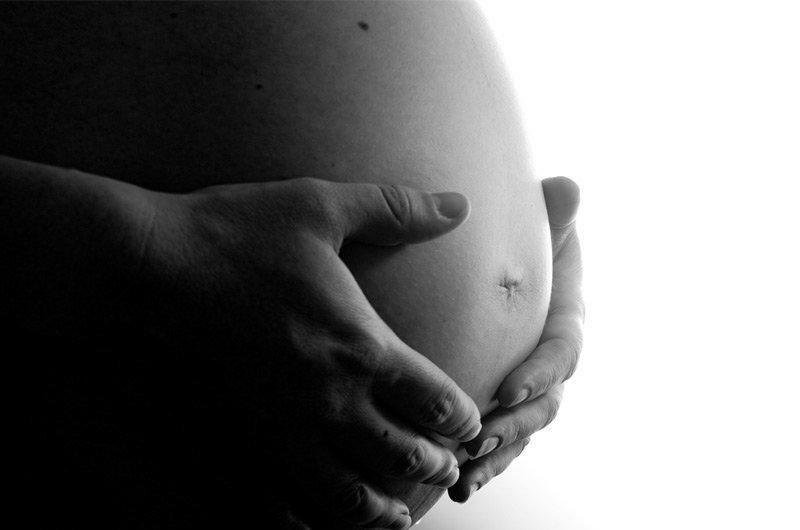 Texas has the highest rate of maternal mortality in the U.S. In fact, a study published last year showed the rate here doubled in a two-year period. Researchers said that’s something rarely seen outside of war or natural disasters. Within less than an hour, the House moved each of the four bills to third reading. Democratic Rep. Helen Giddings thanked both sides of the aisle for working together. The Texas Senate already passed its version of legislation extending the task force’s work until 2023.